Labor Day is just around the corner, which means it's almost fall! And lots and lots of pumpkins! 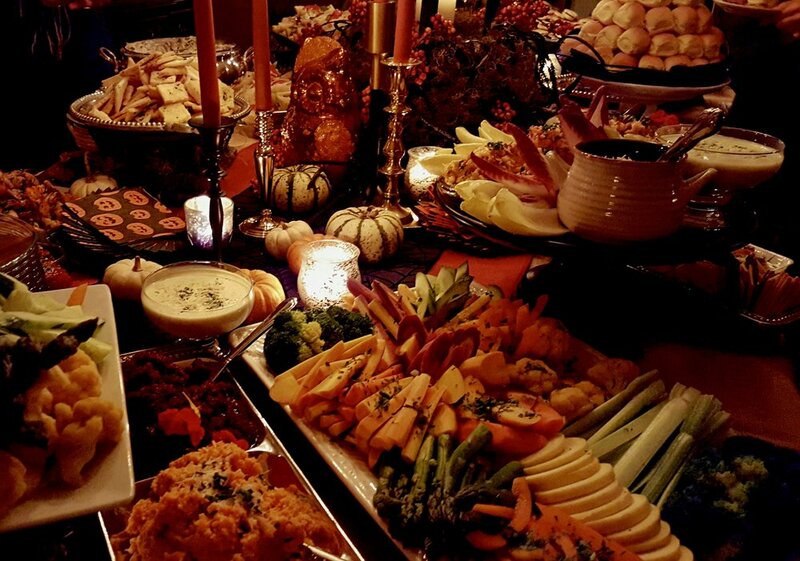 Our food and tables aren't the only things that are festive at Charlene's Kitchen -- don't forget our beautiful bars! 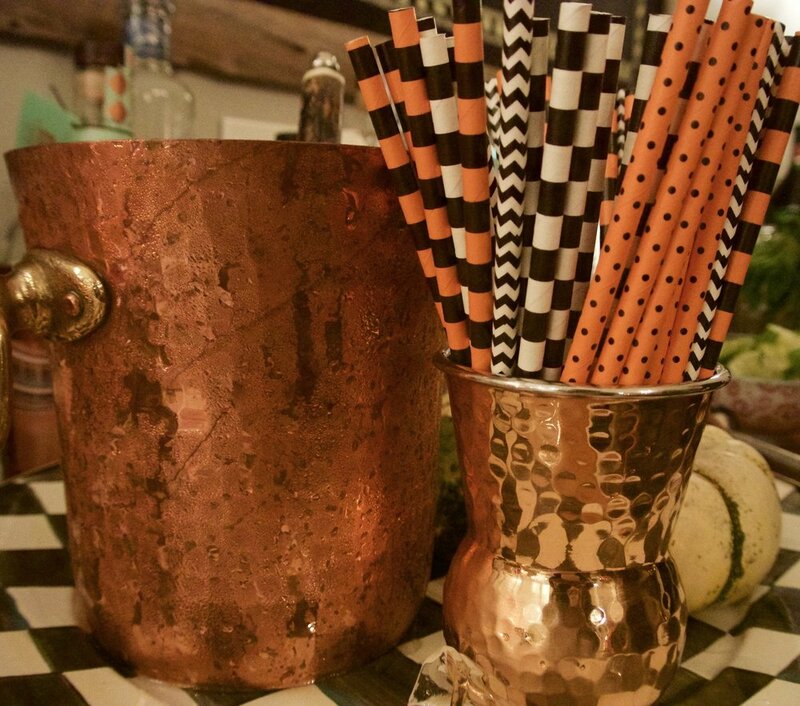 We love using copper ice buckets, copper mules, and festive straws as well as Charlene's fall props to make our bars fitting for the fall season. Charlene doesn't only make her beautiful floral arrangements in the summer. 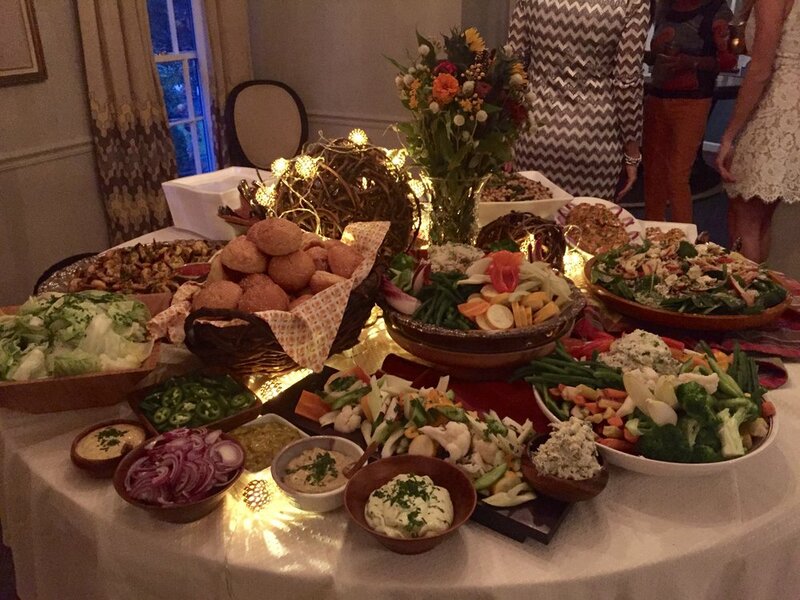 Her fall arrangements are gorgeous and perfect centerpieces for fall events! 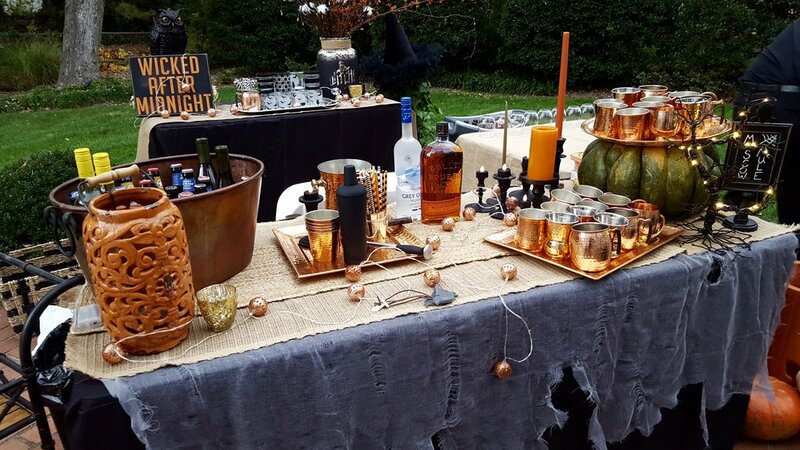 Charlene's Vault is full of props that are perfect for fall entertaining. 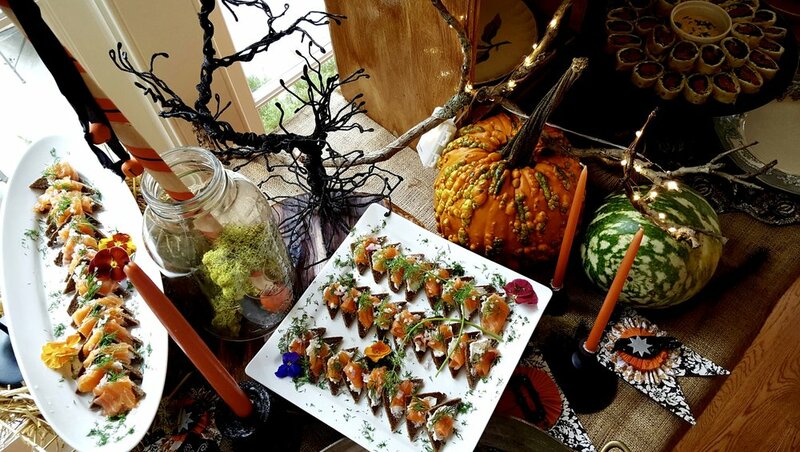 Wood cheese boards, copper string lights, birch logs, festive glasses, and vintage china and linens are just a few of the things you can rent from Charlene's Vault to make any fall event perfect! Stay tuned to Charlene's Kitchen for more information about Charlene's Vault! A comprehensive web page with all the items in Charlene's Vault is in the works! We hope everyone enjoys the end of summer and we are looking forward to seeing everyone once we return from our summer break on September 7th!